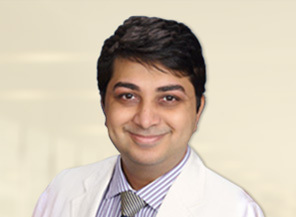 Amit Nathani, M.D. is an Orthopaedic Surgeon and Sports Medicine Specialist at the Atlanta Orthopaedic Institute. He obtained his fellowship training at the world-renowned Stanford University in California, where he served as a team physician for the NFL’s San Francisco 49ers. Dr. Nathani specializes in injuries affecting the shoulder, elbow, hip, and knee, as well as general orthopaedics & fracture care. 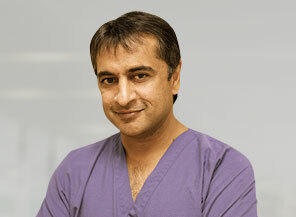 He performs minimally-invasive surgery (arthroscopy) and open surgery including joint replacement of the shoulder. 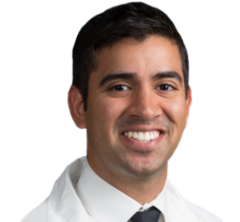 Dr. Nathani is on the cutting edge of hip preservation surgery, utilizing hip arthroscopy to treat many of his patients. He is also trained in the latest cartilage restoring procedures, including the use of biologic and FDA-approved regenerative cell therapy. 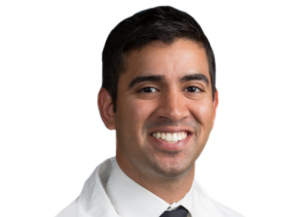 Dr. Nathani has published numerous peer-reviewed papers and textbooks related to sports medicine injuries and treatment, including anterior-cruciate ligament (ACL) injuries, rotator cuff tears, and hip injuries among others. He has lectured internationally and is an active member of several orthopaedic societies that focus on improving care and outcomes for his patients. He is a former Division I Tennis player and has a passion for treating tennis injuries. Dr. Nathani is accepting new patients in Buckhead, Stockbridge, and Conyers office, and performs surgery at the Buckhead ambulatory surgery center as well as several convenient hospitals in the greater-Atlanta area. He accepts all types of patients, including those in professional sports, recreational athletes, and patients looking to resume a pain-free and active lifestyle. He prides himself on providing comprehensive & compassionate care, and sees his patients throughout their entire course of treatment, including overseeing the physical therapy and rehabilitation process. He believes in taking the time to properly explain a diagnosis and makes sure patients leave the office with a full understanding and comfort with the treatment plan.